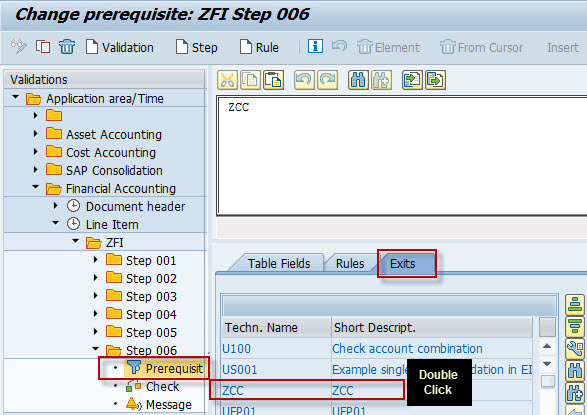 There’s always an issue that SAP users by mistake post production consumption to cost centers through MIGO or manually although production consumption accounts should only be posted to production orders. 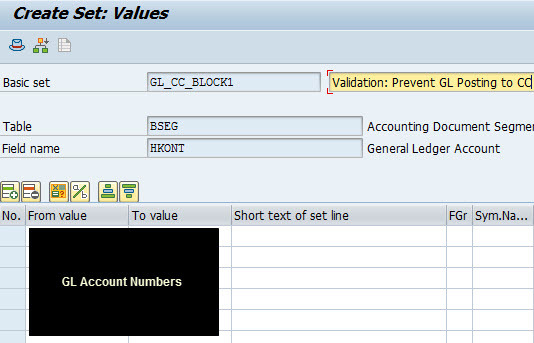 The best way to prevent this mistake is to use Validation Rules (Trx GGB0) and specify the GL accounts that are not allowed on a cost center so the user gets an error whenever SAP is posting these GLs to a Cost Center. 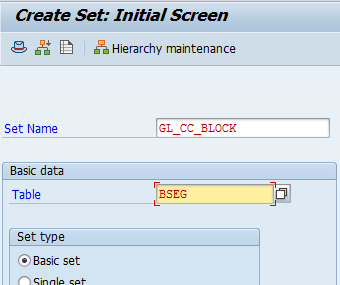 Since validation rules are part of system config, it’s a lot of headache to change the GLs in the rule later in case a new GL is created or an exception is needed. 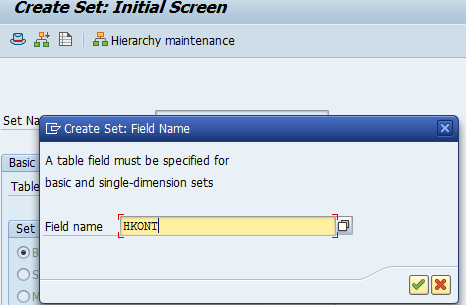 To be able to edit the rule’s GLs without doing any configuration, we can maintain an Account Set in the validation rule instead of specific GL accounts, in this case the Set can be edited freely in Production environment (by authorized users). I just do not get why we need an exit named ZCC, it is a standard boolean statement to check if account is making part of the set. Operator IN. This can be done without any ABAP. 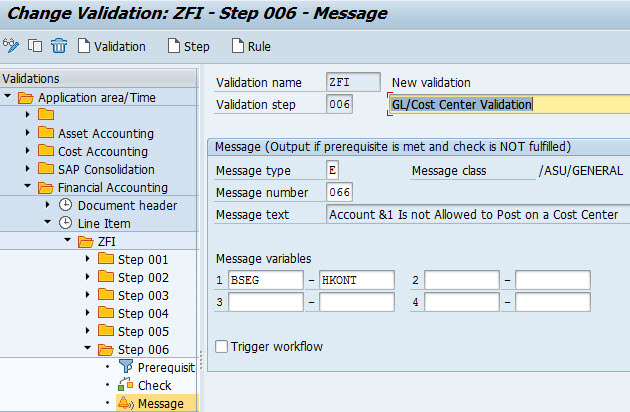 The above mentioned validation works only during the execution of transaction . 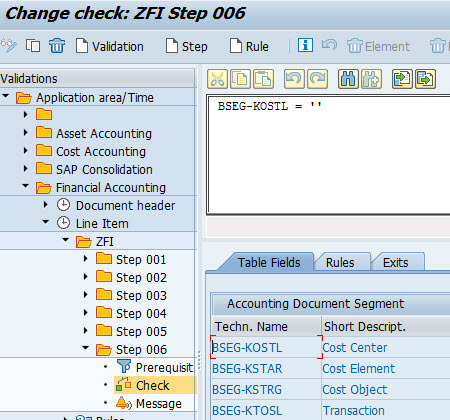 how do we validate after changing the values in transaction. Agree with Paulo, this can be done without exit.